The Bloomingville marble storage boxes consist of three individual elements that can be stacked or individually arranged as required. 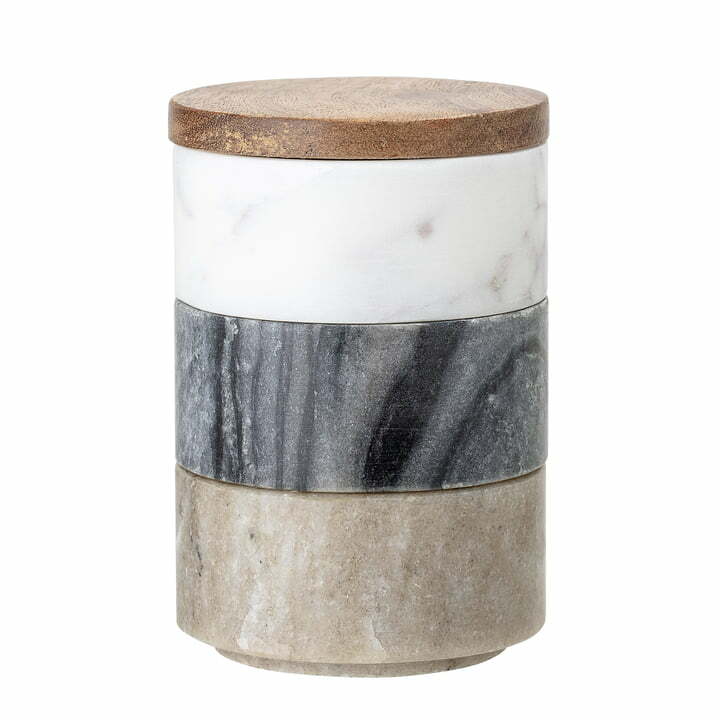 The round containers are made of marble in three different colours, which are perfectly matched to each other. An acacia wood lid closes the top element and adds a warm visual accent to the cooler marble. The marble storage can be used perfectly in the kitchen. Dried herbs, nuts or tea can be placed in the individual segments. 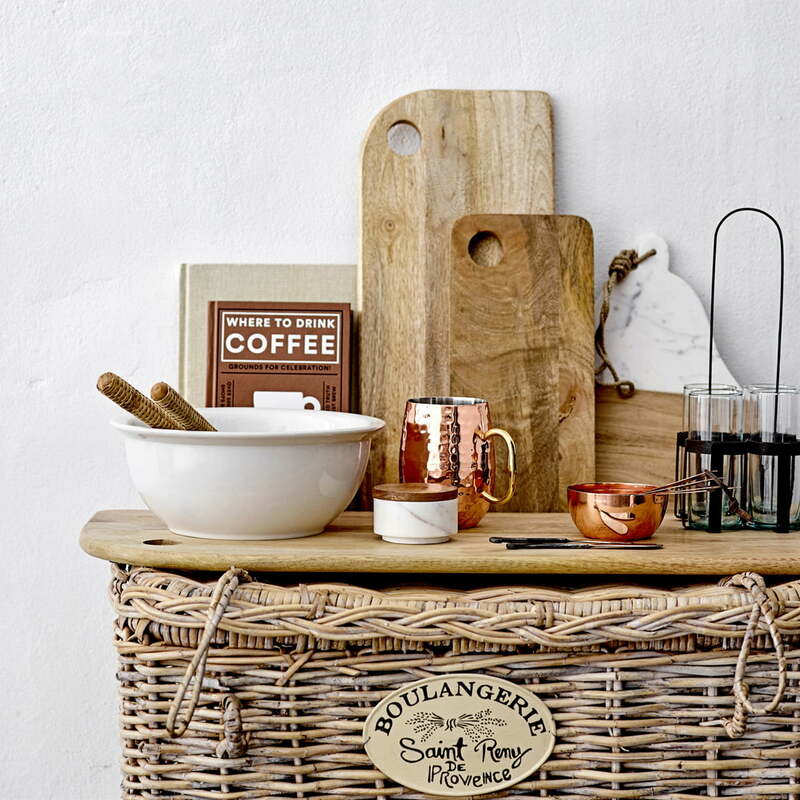 But the storage boxes can also be used outside the kitchen, for example as jewellery boxes or for small office articles. Marble storage boxes from Bloomingville in single view. 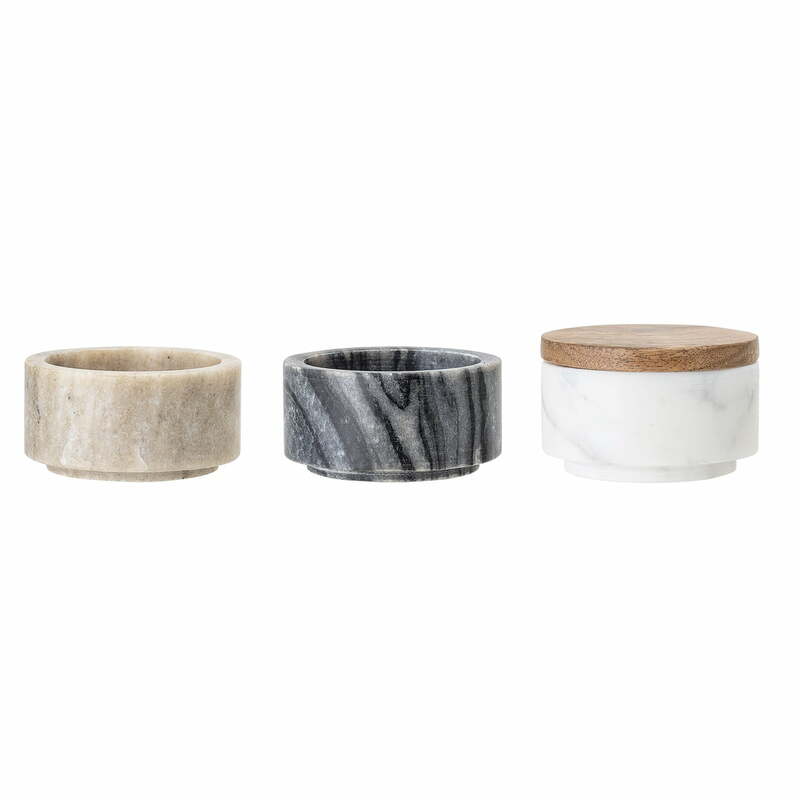 The round containers are made of marble in three different colours, which are perfectly matched to each other. The three marble storage boxes with a capacity of 210 ml each with a lid made of acacia wood from Bloomingville in multi-color in single product view. Marble storage boxes from Bloomingville in the ambience view. The marble storage can be used perfectly in the kitchen. Dried herbs, nuts or tea can be placed in the individual segments.